In Windows 7 (and earlier versions of Windows), the Start menu was simply a way to navigate to whatever program or file you needed to open. In Windows 10, Microsoft seems to think that it should now be used as their own private little billboard on your computer. Today we’ll talk about how to take back some control of that space. One thing that I really, really dislike is advertising being forced on to me. It’s one of the reasons I don’t watch television, and it’s the primary reason I don’t listen to commercial radio while I’m driving (I either have a podcast on (and I can fast forward through the commercials), or Pandora (the $3.99/month ad-free version). Not to mention the actual ads that Microsoft throws in there unless you disable that “feature”, which is turned on by default. The good news – it’s easy to get rid of all that junk if you know how. To do that, get to Settings. You can click the Start button, then click on Settings, or you can just hold down the Windows key and tap the letter “I”. Then click Personalization, then Start. Then, the second thing to do is clean up all the clutter that Microsoft puts in your Start menu. This is really easy. As soon as you click that, you’ll now see an empty space where that tile used to be displayed. 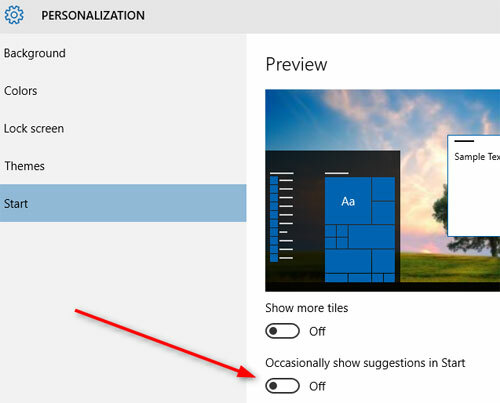 So just go through and do that for every tile you don’t want to see, until the Start menu is trimmed down the stuff that might actually be useful. 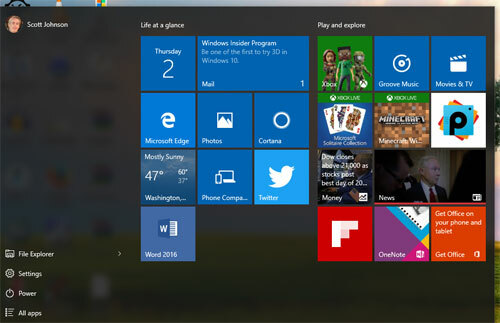 Now, with your Start menu having a fresh “start”, you can drag the tiles around in whatever order you like. 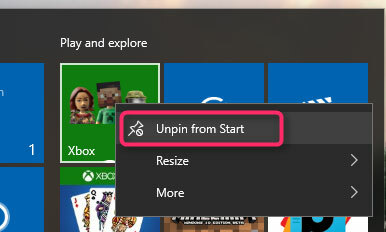 You can also add things the Start menu, just by right-clicking and choosing “Pin to Start”. 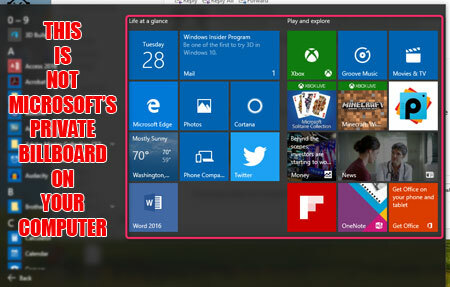 See – Windows can actually be useful when you kick Microsoft’s junk out of the way and put your own stuff there! Thanks Scott this is so helpful and informative! I do hate all the junk too. Hate ads forced on me all the time. It just gets worse.